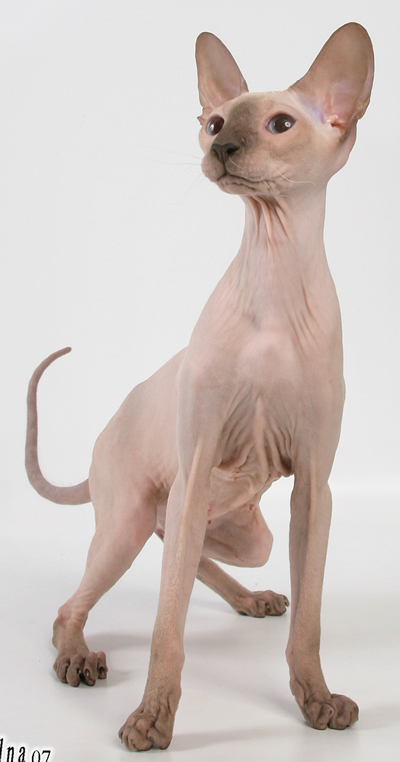 We close cattery peterbald. 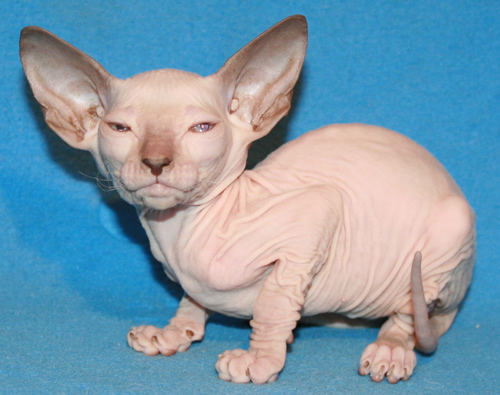 Therefore now we sell all our adults peterbald. You have opportunity to redeem on not to a big price peterbald. 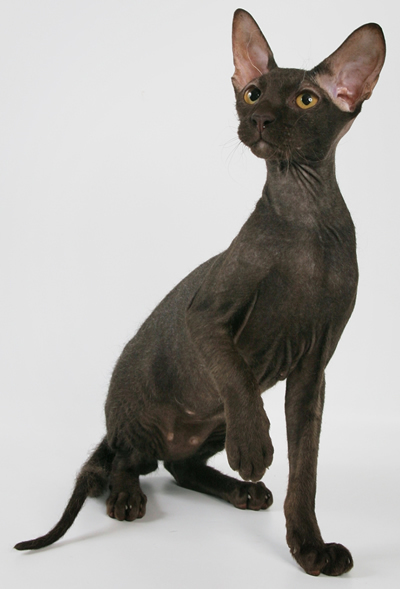 A peterbald kitten comes with a primary vaccination and a pedigree. For leaving Russia, where we are placed, they need to have secondary vaccination (rabbies), to have implanted an ID-chip and to have export-documents (some countries require titration analysis carried out by certified and approved by western authorities laboratories and up to six months of quarantine) - we do these all - these are all extra costs. All the peterbald kittens are in an excellent physical condition, have all the necessary medical certificates, are very good socialized in a home-atmosphere. We ship to any country you live in. You also are welcome to pick up your pet yourself - wellcome to Moscow. All cats of this breed are sold. 1.male Baby Rah Dior, PBD b33, SOLD USA.